Covergirls meet on the third Monday of each month from September until June at 9:30 AM. No special skills are necessary. 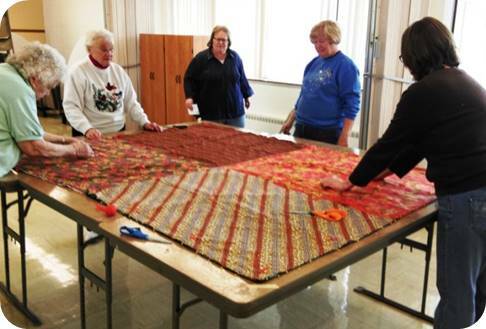 The group usually makes 4 to 6 quilt tops each month, which are then taken and sewn together by our Quilter. The quilts then are sent overseas as needed after they have been blessed. This is a fun group and a great way to outreach into the community.